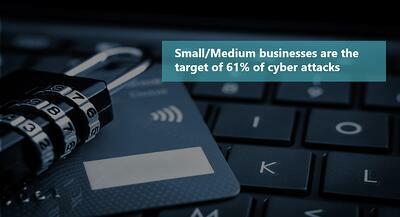 Big businesses make the headlines but small businesses are NOT immune to Cyber Attacks! Industry leader Datto surveyed over 2400 IT professionals who deal with ransomware and other cyber threats every day, and the results are something every SMB needs to be aware of. From 2016 to 2018 there has been a 79% increase in ransomware attacks. 35% of IT pros reported multiple attacks for the same SMB in the same day. Only 1 in 4 attacks are reported, so the news is not making it to the general population. The cloud and Apple products are NOT immune. The average cost of the downtime associated with an attack is $46,800. 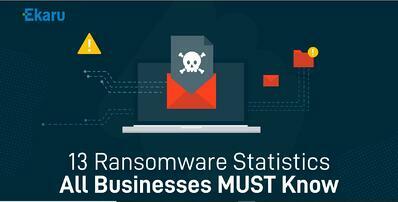 One of our missions at Ekaru is to help SMBs create a technology roadmap and we recommend that you download the Ransomware Report to get started. We highly recommend sharing these statistics with your team to raise awareness in your organization. Ongoing training is one of the key components to help keep your business safe. Also, please ask about new technologies you can put in place to help safeguard your business. Antivirus and firewalls are no longer enough to protect against advanced threats, and if you haven't completed a security risk assessment in the past year, now is the time! Don't Click on that eMail Security Warning Message! We do a lot of cybersecurity training at Ekaru and one of things we tell people is to "THINK BEFORE YOU CLICK". But what do we need to look out for? Here's an example of an email received today. It sounds pretty important. The message is saying that there is a security alert for your account, and there's a sense of urgency around clicking on the link to make sure you're protected. Sounds like something to act fast on, right? Actually, its just a fake message designed to get you to click on the link which could be a link to "phish" your email credentials, or to trick you into installing malware. In either case, danger lurks ahead. One of questions we get a lot, is "how do I know the message is a fake?". First, assume if you have any doubt whatsoever, this is probably a good "gut" reaction that you shouldn't proceed. In this case, the email was sent to an "alias", not an actual mailbox, so that was a big giveaway, but perhaps subtle for many users. An alias is an address that may be used to go to a particular role in your company or to a group of users (like sales, info, techsupport, etc...) That was the first warning that it's not even an actual mailbox. The second warning is that if you were to hover over the link, you'll see the link goes somewhere unexpected. This is also somewhat subtle because many users don't know that what you print in the email, and the actual link can be completely different. Also, great care must be taken to not actually slip with your mouse and click through. The third warning is that if you look at the "properties" of the email, the "path" of the email can be revealed in the technical header of the email. This is also something that would be simple for an advanced user, but most users aren't aware that the "from" address can be easily faked. With all your security protection in place, all it takes is ONE user clicking on ONE wrong link to do a LOT of damage to your business. Given that your team probably isn't composed of a team of tech experts, what should you tell your team? Bring examples of fake messages to your staff meetings and SHOW your team what a spoofed (fake) email looks like. Years ago they were fully of typos and obviously fake. Today's messages can look VERY real. Speak up! Did you click on the link? You will need to be disconnected from the network and have your system cleaned. Keep in mind that many advanced threats are designed to run on timers so you may not notice anything right away and keep working. Create a culture where people feel free to speak up. Trying to hide something could do a LOT more harm. Many messages are designed to get loyal and diligent employees to make a mistake. The bad actors are working all the time to develop new threats. With the availability of cryptocurrency, cyber crime is now bigger than all organized crime. Talk to your employees about security on a regular basis. THINK BEFORE YOU CLICK! A hacker has your password. Now what? This week an astonishing 773,000,000 records were released in a monster breach. Security researcher Troy Hunt first reported the data set which includes 772,904,991 unique email addresses and over 21 million unique passwords, all recently posted to a hacking forum. Hunt reports that the data was posted on line for anyone to take and not even up for sale in the dark corners of the web. In fact, not only is this the largest breach to become public, it’s second only to Yahoo’s breaches which affected 1 billion and 3 billion users, respectively. Fortunately, the stolen Yahoo data hasn’t surfaced, yet, but there's a good chance that if your information isn't out there yet, it will be soon. After your data appears in a hacker forum or somewhere on the Dark Web, there's no way to take it back. For many, this is a wake up call to take better care of password safety. Use STRONG passwords. In this particular case, it doesn't matter how strong your password is, if its out there its out there, but using strong passwords is a general safety tip to help prevent many other types of cyber attacks. Use UNIQUE passwords. NEVER use the same password (or simple variation) for multiple sites or applications. Your banking passwords should not be the same as your gym membership password. Change your passwords frequently. When you hear about a major breach, this is a good reminder to change your passwords as it could be a long time before your credentials wind up for sale. Think of it like changing batteries in your smoke detectors. Use some calendar (daylight saving time?) to trigger the change. Anything other than using the same password for years. Use a password manager. Think about it. If you need to use STRONG passwords, and UNIQUE passwords, that you change regularly, there is no way to remember these. If just one employee in your organization cuts corners, this could put you and your organization at risk. Get Dark Web Monitoring to protect your business. When breaches make the headlines, everyone takes notice, but this activity happens frequently, and your data can be for sale on the Dark Web long before anyone publicly announces a breach. 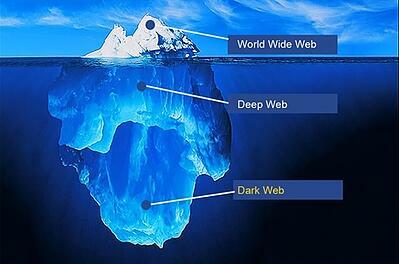 Think of Dark Web Monitoring as an early warning system. Use Two Factor Authentication wherever possible. 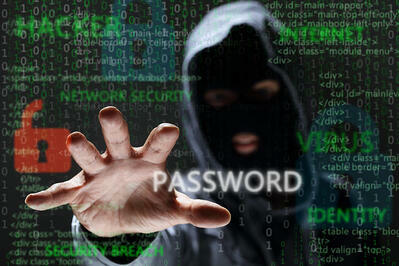 If your password is compromised, no one can get access to your stuff without the second authentication. Many users see this as an inconvenience, but it's a critically important safety measure to safeguard your information. Educate your employees on cybersecurity. One weak link and your business may be at risk. Too many users still think "it won't happen to me", and too many SMBs think they're under the radar because they're too small. 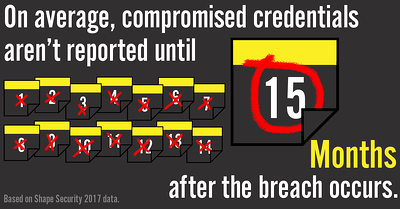 For more information on the latest breach, check out a comprehensive summary in Wired Magazine. At Ekaru, we're on a mission to provide enterprise-call service to small businesses. Please give us a call if you have any questions, or to assess your current security situation. We're here to help! Cyber threats are real and they're local. Major corporations like Marriott make the big headlines, but too many smaller businesses and institutions think they're "under the radar". Attacks are widespread and they're automated. The average firewall is getting hundreds of thousands of intrusion attempts per month, over 50 ransomware attempts, and twelve phishing attempts. All it takes is ONE user clicking on ONE wrong link and a lot of damage can be done. Recently Cape Cod Community College was hacked for over $800,000. In this particular case, a user opened an email that looked like it was from another college, and the user didn't have any suspicions at first. 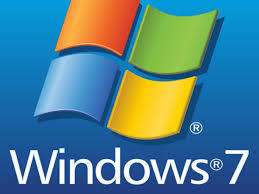 What they didn't know, was that malware targeted their financial transactions. The college worked with the FBI and were able to get some of the funds back, but this is actually quite rare. The college is beefing up their cybersecurity protection now, but waiting until disaster strikes will help next time, but can't undo the damage incurred in this attack. Working with hundreds of local businesses, we've seen a big increase in the number of threats this year, and we're advising everyone in our community to review all the risks, and make informed decisions about the level of protection needed. The protection in place over the years (Firewall, Antivirus, Security Patch updates) just isn't enough to protect against the latest threats. More tools are available to SMBs and the first step is to understand the risks involved. The level of protection you had in the past is not enough. "Cybercrime is now larger than all other forms of organized crime put together" Michael George, Continuum Navigate. A business class firewall is one of the most important layers of protection against intrusions, and we recommend Sonicwall, recognizedas the leader for SMB protection, but that's just one layer of protection. Globally, the SonicWall Capture Threat Network, which includes more than 1 million sensors across the world, recorded the following 2018 year-to-date attack data through October 2018 including a 117 percent increase in the number of ransomware attacks. For more information, read the full Sonicwall Report. We want everyone in our community to fully understand the changes in the threat landscape and what can be done to help better protect your business. Call us to schedule a time to review your current level of protection so you can understand the protections you have in place, and where there may be gaps that need to be considered. There is no such thing as 100% security, but understanding the risks and making an informed decision about the level of risk you can tolerate is critical for protecting your business. It's the holiday season and people are busy, and it's also a season to beware of scams. 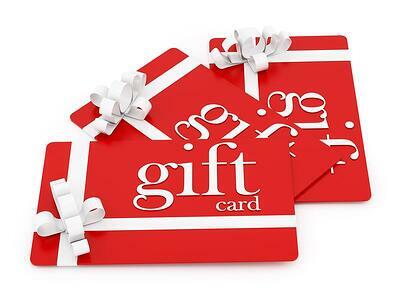 There are many different scams related to gift cards, and here's a new one we just saw locally. A user received an urgent message from their boss that he needed to get gift cards for important clients and there was a time crunch to get the task done. The diligent employee replied and immediately started working on the task. After a few email exchanges back and forth, the employee went to talk to the boss to clarify some final details, and the scam was revealed - the boss never asked for the gift cards. They were very close to losing $2000 to a crook. The original email from the "boss" was actually a "spoofed" message. This is an email that's made to look like it's from a particular individual or organization (like a bank or the post office), but its actually from someone else. 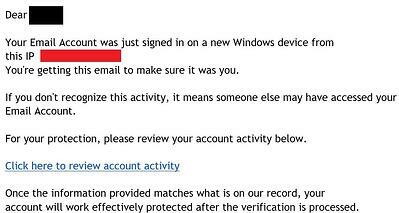 It's illegal to use an SMTP server without authorization, but this doesn't stop a crook, and its actually very easy to fake an email. The bosses email was never hacked, it was just a trick that used his email address. The underlying technical details like the return path, etc, will give away the secret, but on the surface, the email looks like a legitimate return address. Watch out for emails with with a sense of urgency quickly worded to look like they're from a mobile device (iphone, iPad). The typos are made to make the email appear more familiar and rushed. NEVER email financial information. The email exchanged started getting weird when the crook started asking for the authorization codes via email. This is a red flag. Don't get tricked if you see a familiar name in the "from" field. Scammers are getting good at harvesting emails from websites and social media. This is their full time job. Make sure your employees are all aware of this trick. When in doubt, have a face-to-face or phone conversation to clarify the details. Sadly there are so many different variations of scams. The bad actors are constantly working on different variations to get through all the technical and human defenses. User education is key! Think before you click! The Cybersecurity landscape is constantly changing, and there's a new threat to watch out for: Extortion emails that contain either a past or current password. We saw a big wave of these emails over the summer and shared a blog post with our community,: A Creepy Twist on Ransomware: Using your Hacked Passwords and we're seeing another wave now, with some more variations. I'm a hacker who cracked your email as well as devices a few weeks back. You entered your password on one of the websites you visited, and I intercepted it. Clearly one can change it, or perhaps you already changed it. Nonetheless, it isn't going to change anything, my own malicious software updated it each and every time. Do not necessarily attempt to get in touch with me or find me, since I sent you email from your own account. Via your own email address, I uploaded harmful code to your Operating System. I saved all your contacts along with friends, acquaintances, relatives, and an entire record of visits to Web resources..."
The email goes on to demand payment to a bitcoin wallet, and references images taken from the webcam. It further says that law enforcement can't help you. This email, and emails like it are very scary. The email is made to look like someone hacked into your email account, but in fact it's just a "spoofed" email (the return path is not actually you, but it looks like it is). Bad actors can harvest passwords from the dark web and you may recognize the password identified. One of the reasons this scam works so well is that you will likely recognize the password, as many people use the same password or similar passwords for multiple accounts. Threats like this are launched using automated systems, and users who may not be aware of these threats work could be terrified of messages like these. We track major breaches on a weekly basis, and also monitor the dark web for compromised credentials. It may take a very long time for a breach to be acknowledged, but with dark web monitoring, you'll get advance notice. We strongly advise a layered approach to security. Employee security awareness training, password managers, next-generation antivirus, and dark web monitoring are strongly advised to help keep your users secure. The security landscape is constantly evolving and the layers of security you may have put in place years ago are no longer sufficient. Everyone has a different level of risk that you're okay with, there are probably some gaps that you're not comfortable with. Our mission is to make sure you have the information you need to be aware of the current cybersecurity landscape and to make informed decisions about your acceptable risk level.